The Master and disciples to the city journeyed on. Poor Pariahs! by their nearest, their dearest, shunned and loathed. Their skin grew soft as infant’s—their leprosy was healed. Nor once thought of returning thanks to Him who made them whole. To cast himself in worship, in thanksgiving, warm and meet. 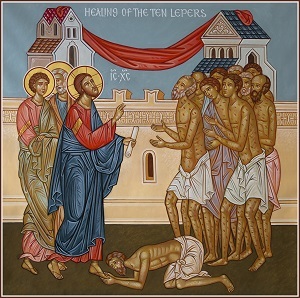 “Ten were cleansed from their leprosy—where are the other nine?